Happy Wars is running some Christmas special events this December. Until December 25th, players of this XBL Gold Subscriber free-to-play game can log into the game and get 80 Happy Tickets for free. These tickets can be used to purchase premium items from the shop. 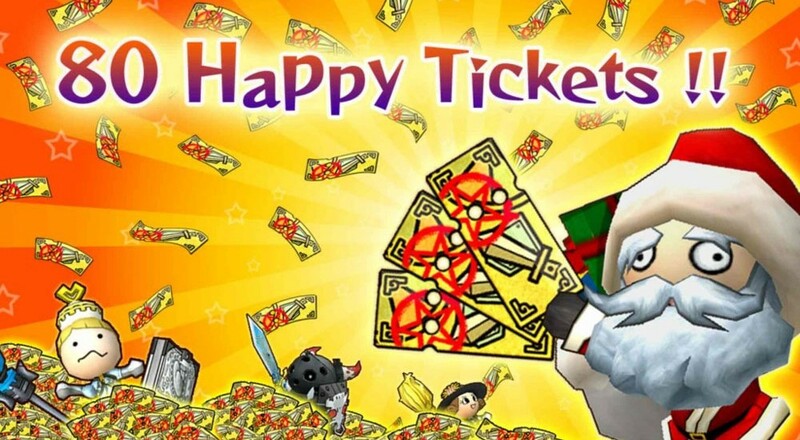 Happy Wars is also running two special events for December. The first is a Christmas-themed variant of "Save the King." This variant, called "Save the Santa," will have appropriately holiday-reskinned stages. Players who participate in the variant will get access to exclusive Mage gear, such as the Imperial Hat or Conductor's Cape. "Save the Santa" will also run until December 25th. The second event this month is the "Happy Cards Limited Edition" event. This event gives out only new items and Warrior items, such as the Military Drum and Imperial Fan. "Happy Cards Limited Edition" will run until December 18th. Any of you readers looking forward to these events, or have plans for those 80 tickets?